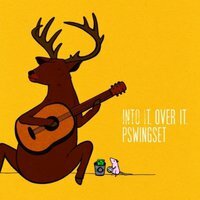 There is just something about Akron, Ohio’s Pswingset -pronounced ‘swing set’ (the ‘p’ is silent, much like the ‘j’ in jogging) that is impossible not to get caught up in. It could be their precision to stop-on-a-dime, it could be that every note oozes sincerity, or it could be the heart-on-your sleeve vocals. Really, though, it is the accumulation of all these things that make Pswingset amazing. Go ahead, throw them in your stereo, and try not to grin and bob your head. We dare you, Goddamnit.